St. Joseph’s Catholic School recently received $1,000 from Walthall Oil Company and Exxon Mobil to be used in the school’s science and math programs. St. Josephs’s Catholic School is a parochial school affiliated with St. Joseph’s Church in Macon. 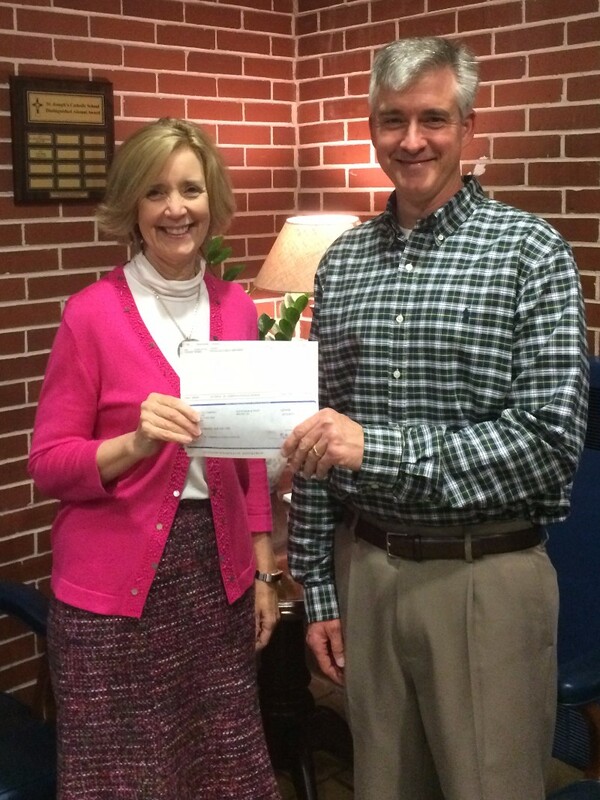 The check was present to principal Dr. Kaye Hlavaty by Walthall Oil Company Vice-President Shawn Heacox. The school enrolls students from 3K through 6th grade. The 3K program offers a half (morning) and full day schedule. For information contact the school at 478-742-0636. Dr. Kaye Hlavaty, the principal at St. Joseph’s School receives a check for $1,000 from Walthall Oil Company Vice-President Shawn Heacox. The donation will go to help support St. Joseph’s math ans science programs.